From 1965 to 1986, Herbert Couf, the president of the WT Armstrong company, had three Keilwerth models stenciled for him under the model name "H-Couf": the "Superba I", "Superba II" and "Royalist". These instruments were built in Germany and mainly corresponded to the Toneking Special (Superba I), Toneking (Superba II) and New King (Royalist) -- all from the Toneking/New King Series IV line. The "H-Coufs" were also stenciled for Conn under the name "DJH Modified". * The Superba I and II were pro models featuring a high F# key. * The Superba I generally had rolled tone holes (alto and tenor, at least) and the Superba II generally had straight tone holes. * The Royalist was the intermediate model, without high F# key and straight tone holes. The Royalist was also produced by Borgani. Do note, however my comments on the New King page: while the only substantive difference between the New King and Toneking seems to have been the altissimo F# key, this is no longer the substantive difference in the H-Couf line: not only did the H-Couf baritones and basses not have an altissmo F#, the Royalist is a considerably cheaper looking horn. According to Keilwerth, baris were not available with a low A extension or with rolled tone holes. That's at least partially incorrect, so take their comment for what it is. Additionally, the bass was a special order instrument and advertised as having a six month waiting list. 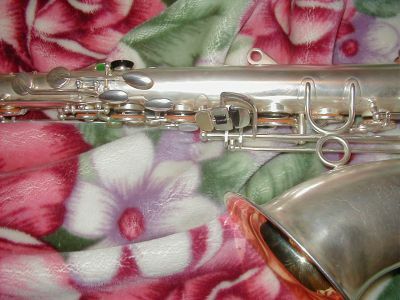 The Low A Bass was not a production horn, just a prototype. 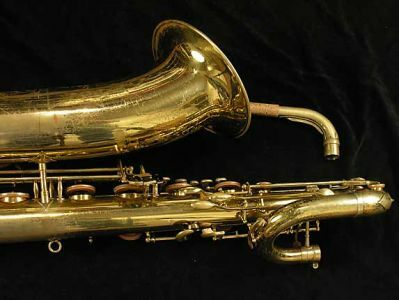 It's my feeling that the Superba I and II were essentially custom-order horns and you could get just about any feature you wanted on them, hence the low A bass, black lacquer, custom engraving, etc. BTB, Keilwerth-labeled models were still available during the time the H-Coufs and DJH-Modified horns were available. Not bad for a little sax-only shop! 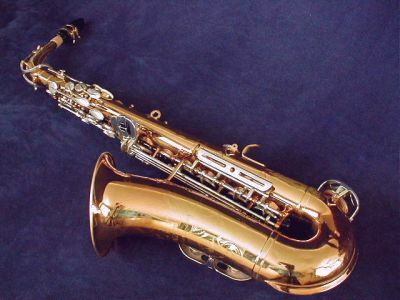 According to popular rumor, in 1986, Keilwerth supplied saxophone bodies to Armstrong. 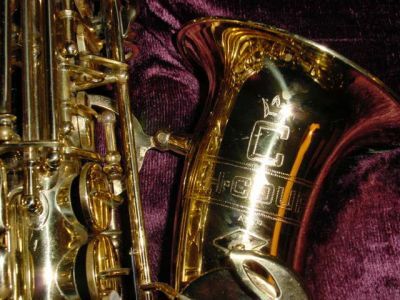 Armstrong then added their own keywork to these bodies – similarly to what other German manufacturers did with Keilwerth sax bodies decades before. The result of this is probably the H-Couf Royalist II, 3100 and 3200 horns. Keilwerth does deny they manufactured these later Armstrong horns and there is some buzz that these later H-Coufs were made for Armstrong by a different company. I don't really know: I've yet to find anyone that currently has one of these Armstrongs, so I can't find out if they're engraved "Made in Germany", someplace. The Royalist II, in particular, looks really cheezy, though. Finally, Armstong also imported two other entire lines, the Heritage and the 3070 (thanks to Hurling Frootmig at the SOTW Forum for finding this model number). As far as I can tell, these horns are Superba II's with different engraving. As with other stencils, they may have been made with lower quality materials or quality control, but I can see no substantive difference. I've also been told that these horns are good players. No, I don't know why Armstrong had these models available at the same time as the H-Couf, nor why Armstrong had two virtually identical horns with different model names.